Your opinion matters. Leave A Review Or Edit This Listing for Ansar Pantry. Ansar serves our community with food and hope in the spirit of dignity and respect. 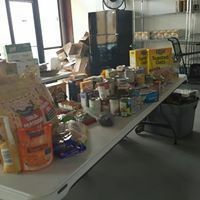 Each month Ansar Pantry provides food, toiletries and other services for hundreds of individuals and families throughout the Arapahoe, Denver county and Adams county. Whether homeless or just unable to make ends meet, when clients come to The Ansar Pantry, they receive food that should last them between 3 to 5 days, bus tokens to help them get home with their food, and items such as deodorant, toothpaste, soap, toilet paper and other personal hygiene products. �Clients should bring a picture ID and a piece of mail with their name and street address. We always need more information on our pantries. If you know of any details, volunteer information, website, hours or more description information about Ansar Pantry please add a comment (below the map on this page), with information. We will then display this for all visitors on this page.